There’s a slight chill in the, air and with it comes the time for Christmas shopping. 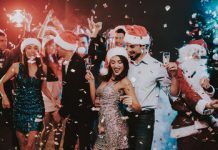 Whether you are having fun with your family, enjoying a day out or having pleasure in a festive party with friends, or just simply chit-chatting with co-workers at the annual Christmas bash in your office, Christmas means the right time to see and to be seen for most of the fashion divas. 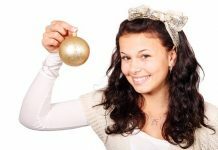 Many of the Christmas fashion trends for 2012 – and for any year for that matter – arrive with bold colors and with a touch of sparkle! Fashion trends for Christmas 2012 not only include the latest designer trends from well known fashion houses all over the world, but also present some of the best styles in Jewelry, foot wear and a plethora of other accessories that welcome the start of the Christmas holiday season. 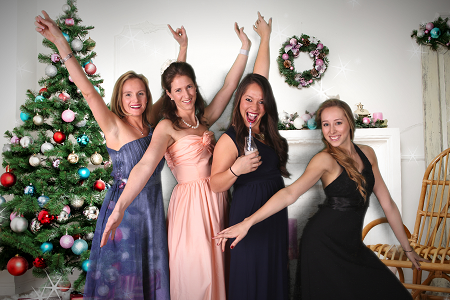 Beginning from fashionable Christmas party wear and covering everything from footwear to hairstyles, Christmas fashion trends for 2012 help you make the festive season a memorable one all your life. Some of the latest Christmas fashion trends help you enjoy everlasting red carpet moments and we bring here 10 of the best fashion trends for Christmas. Deck yourself out in this year’s latest party trends with these gorgeous dresses that always bring to life the festive mood in everyone. They have inspired many designers like Anna Sui and are considered to be the best option for this Season. They look more wonderful when they are paired with some of the cute tights available in the market this season and T – Bar heels. Metallics are considered to be the common wardrobe staple all this season and they go well with contrasting accessories like studded belts and bracelets. Metallic jewelry pieces can be adorned to further shoot an up-to-date look. Maxi dresses are as popular as ever this season. Sparky and bold maxi hemlines in red and gold colors ignite a trend that will surely turn many heads. Red is the color of Christmas and it is true that no Christmas wardrobe for 2012 is said to be quite complete without a trendy splash of red in a velvety texture. To add a little more style for the Christmas party eve, choose different shades of Red such as Scarlet, Tomato, Ruby, and Cherry and you are sure to beat a thousand romantic heads. The classic Christmas fashion: Whether you are enjoying in your office Christmas party or leisurely spending the evening with your family and friends, you never go wrong with cashmere. They are made of soft wool that is luxurious and durable at the same time. They are ideal in keeping you cozy and comfortable all the Christmas season. 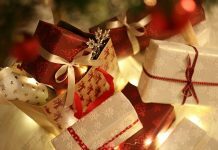 You can also find many Christmas gifts for 2012 that are made of Cashmere. Whether you like it or not, sweaters are one of the Christmas fashion trends that are here to stay. Choose from some of the best over-the-top patterns and bright and clashing colors that will inspire everyone around you this Christmas season. There are literally countless designer versions available in the market from many of the leading fashion houses. Trendy Ladylike lace dresses and retro-style women’s ruffle dresses are some of the key trends this year. In fact, no Christmas party is said to be complete until you find someone slipping on into these ever trendy dresses. For a more stylish look, you can pair these dresses with bright-colored tights and high heels with vivid hues. Velvet always reminds you of brilliance and beauty. And it is a must-have for your wardrobe this season to give you a key look. In fact this rich and lovely fabric is liked by most of the celebrities including Hilary Swank and Kim Kardashian. If you want to go all out with some of the latest party trends for Christmas 2012, you can choose from the countless bold and shiny tights and leggings that will truly accentuate any outfit you wear this season. Floral patterns go well with pointed yokes and the combination is just so classic that you will surely draw everyone’s attention. Shoes with some bold floral patterns go well with these floral dresses whether they are drop waist dresses or just the floral tops. Flats are a strict no-no with these kinds of dress and some neutral shades would be best if you want to make a difference. Next articleTeen Spending Statistics in the U.S.